Although the first concrete shell was built in Europe as early at, 1924, there was little or no interest in this form of construction in the U.S. very-recently. Time was—not every long ago—when shell structures dismissed as “structural clockwork” far too intricate and labor-intensive to prove economical in the U.S. The First Conference – on Thin Shells which met at MIT in 1954 may be said to have marked a definite turning point. Since that time, engineers and architects have become increasingly, aware of the economic aesthetic possibilities ,6red by shell roofs for enclosing large column-free spaces required -for-a variety of applications. 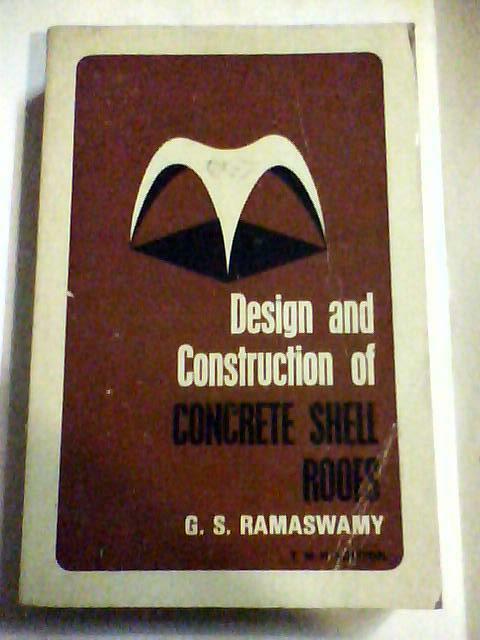 This book was written to meet the demand for a lucid presentation of the design principles and construction techniques of shell roofs of single and double curvature. There is no book in the English language which covers this field adequately. The books available are almost exclusively devoted to cylindrical shells; shells of double curvature which are rightly regarded as the shells of the future do not receive adequate attention. Moreover, most authors of books on shells assume a very good knowledge of advanced mathematics on the part of their readers and their emphasis is on stress analysis. Design and construction aspects are hardly touched upon. This book, designed to meet the seeds of the classroom and the design office, is- an outgrowth of lectures delivered by the author at refresher courses organized kn India for practicing engineers. It assumes only the mathematics that is normally taught to undergraduates in engineering. The first part of the book is devoted to reviewing some of the mathematical techniques necessary for following the developments in the subsequent chapters. An attempt has been made to develop the subject from first principles. The book is also illustrated with a large number of worked examples based on shells designed and built by the author. The author has freely drawn from. material found scattered in numerous technical periodical in German, Russian, Rumanian, French, and Italian. He has also consulted papers contributed to the Symposia and Colloquia on shells held by the International Association for Shell Structures from time to time in an effort to present an up-to-date coverage of this rapidly developing field. The author cannot adequately acknowledge his debt of gratitude to his colleagues M. Ramaiah and E. Abdul Karim for taking the trouble of going through the entire manuscript and offering many useful suggestions. He also wishes to thank, his colleagues, M. G.Tamhankar, N. V. Raman, Z. George, R. D. Jain, R. M. Garg, and, Dr. S. P. Sharma who offered helpful criticism on some of the chapters., Appreciation is also due to many publishers, authors, and firms who permitted him to, quote from their publications or use photographs supplied by them.